When it comes to my hair and the styles I wear it in, I keep it pretty simple. 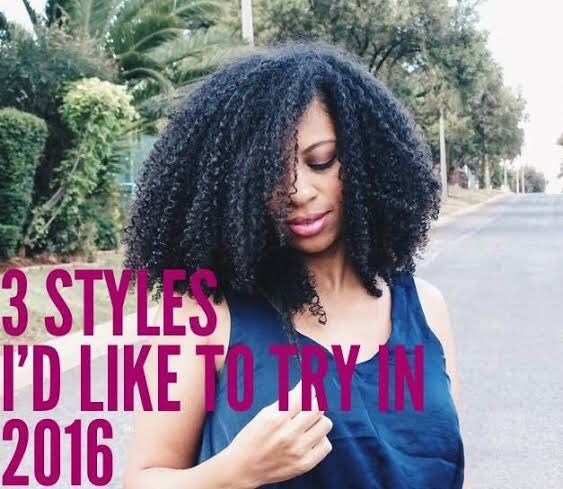 It’s usually in one of 3 styles: a wash and go, a braid out or a twist out. But since I’m keen to switch things up a little this year, I’ve identified 3 other styles I’d like to try out potentially. They are quite unusual for me, but what I like about them is that they are fairly low manipulation and if done correctly one of them also serves as a protective style. Here are the images that have inspired me to try something new this year. Aren’t these braids just absolutely stunning on Tamera Mowry? I’ve only ever had braids once before, but that was a long time ago and I’d really like to give this style a go again. For me it has nothing to do with ‘putting my hair away’ or my hair ‘needing a break’ as I usually do protective styles without adding extensions or weave. It is simply rather a case of wanting to sport a gorgeous style that I’ve admired for ages. The fact that it can double up as a protective style is simply a bonus. When I say roller set, I’m referring to any types of rollers: curlformers, perms rods, flexi rods or the big yellow and green rollers many of us grew up with here in South Africa. 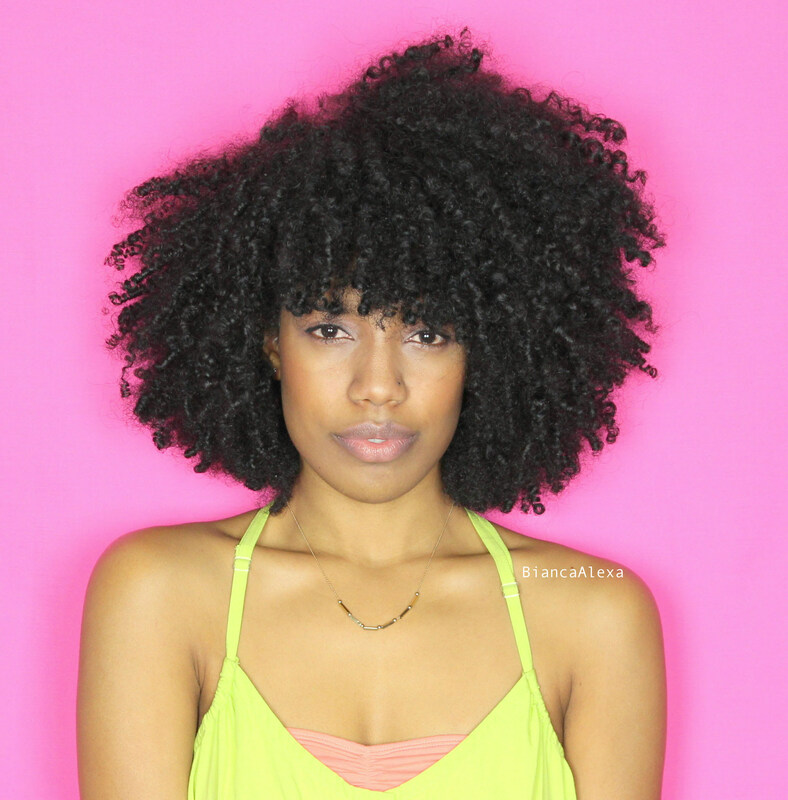 Before going fully natural I used to set my hair often, but haven’t really done it since, and I’d love to revisit it. 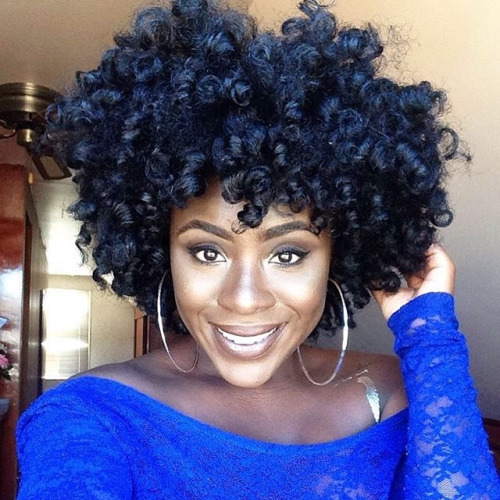 I follow chocolateblackdoll on Instagram where she always showcases the most beautiful roller sets. What can I say? She’s totally inspired me to give this one a shot. A couple of weeks ago I posted on my Instagram and Facebook that I’d like to cut a fringe, but that I’m not sure whether to do it. I took a poll by asking my followers what they thought: To cut or not to cut. To my surprise many said yes go ahead and cut it, but many others also said even though it looks great, it’s a hassle to grow out as it can look really awkward. They also said that if I can achieve the look by just pinning up my hair in the front, I shouldn’t lose the length unnecessarily. So no prizes for guessing that I still haven’t made my mind up yet. Let me know Girls, which style do you think would suit me the most? Which one would you like to see me in first? Sounds good. The pics are nice too. I’m sure you can rock all these. I now rarely braid my hair since the install can take me two days to complete and then i end up keeping it for two weeks. I love the fringe look. Rollers are my staple. I am so coiled out. Can’t wait to see you in these. I’ve been toying around with the idea of a roller set for my style challenge. It takes me forever to install them though. Think I will save that idea for Winter. I’m still in two minds about it. If I do it it means I won’t be able to wear my hair swooped to the side in a twist/braid out that I love so much. See my 2nd and 3rd last Instagram posts. I’m a wally, I know. GRRRR! Good luck on your hair style wishes. I like the roller set most, I am still waiting for my hair to have a good length to rock that style.